Today is the autumn equinox – which means different things to different people. The word equinox comes from the Latin words for “equal night.” It is one of two days in the year when there is 12 hours of day and 12 hours of night and is the time of year that the harvesting of crops happens, preparing for the winter months ahead. Across the globe, many ancient civilizations realized the importance of this day. In India, it is said that today Goddess Durga starts her journey towards the earth. It is the time to invoke the Goddess. This Goddess is none other than Om, the Universal Mother Nature. Still we are about a month away from the main fall leaf season to start. However, from today, trees are getting ready for the winter. During winter, there is not enough light or water for photosynthesis. On winter the trees will take rest, and live off the food they stored. Slowly, they will begin to shut down their food-making factories. The green chlorophyll will gradually disappear from the leaves. As the bright green fades away, we begin to see yellow and orange colors. If we are mindful we can notice the changes in the colors of the trees. Observing the beauty of nature is a great exercise in mindfulness meditation. Breathe slowly. In a relaxed way, give your full attention to the activity of nature—notice the changes in the colors of the leaves. Pick up a leaf. Put it on your palm. Feel the touch and notice the details of the leaf. 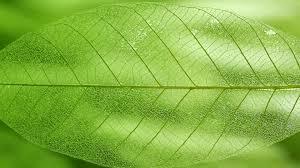 What is the shape of the leaf? Is it tall or short, wide or narrow, thick or thin? Does it have a handle? What is the color of the leaf? What do those colors look like next to each other? Do you like the colors, dislike it, or feel indifferent to it? Notice your feeling, and accept it, and continue to pay attention to each moment of experience. This entry was posted in How to Meditate, Meditation, Meditation Research, Mindfulness Meditation and tagged Amit Ray, autumn equinox, beauty of nature, Goddess Durga, leaf meditation, Mindfulness Meditation. Bookmark the permalink.